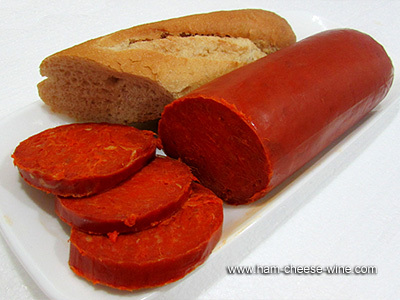 Semi-soft Sausage (Sobrasada) Doña Juana, a delicious sausage typical of Mallorca, Spain, now produced in the United States, is particularly prized for its soft texture. Made from lean pork and seasoned with salt, garlic, olive oil and paprika is special to eat with toasted bread and cheese. Sobrasada sausage is a solution to the need to store food for long periods of time, using salting techniques to inlay minced meat. The origin of its name is found in Sicily, where a technique known as sopressa, meaning "chopped", was used with the meat for inlay. Thanks to maritime trade it expanded to Mallorca. 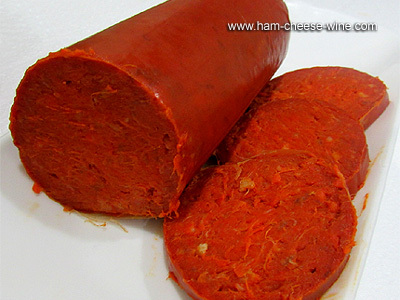 Although in the first sobrasadas mostly pork was used, soon using paprika is introduced as distinctive sign for food preservation, since the meat acquires its characteristic red color. 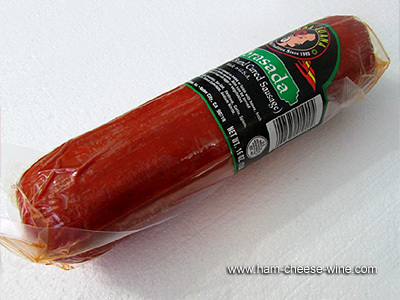 Semi-soft Sausage (Sobrasada) Doña Juana is produced in the United States by La Española, a family business that enjoys a well-earned reputation in the production of pork sausages. 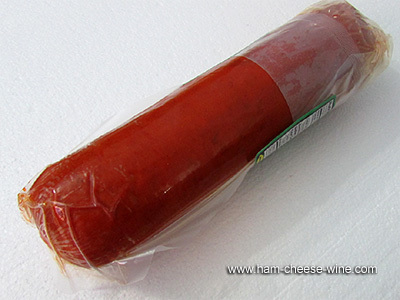 Vacuum packed in portions of one pound (16 ounces), each unit is 8 inches long and 2 wide. 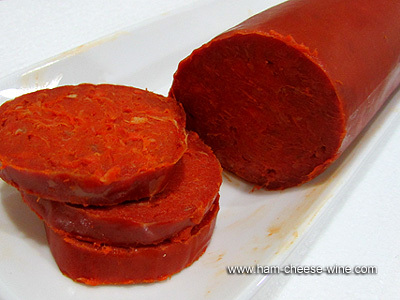 The manufacturing process of Semi-soft Sausage (Sobrasada) Doña Juana consists of two distinct phases. The first, where the sausage itself is made, comprises the steps of pork chopping, mixing with the other ingredients and inlaying into the casings. Chopping is done mechanically with a crusher machine programmed to achieve particles of less than 6 mm. Then the meat is seasoned and spices are added. In the second phase takes place the maturing and drying of the product. The dough is stuffed into casings, and subjected to a process of healing in the dryers. The color of this product is natural, since the Denomination of Origin expressly prohibits the use of artificial colors, and is protected with the seal of geographical indication even when it is produced in the United States. Ingredients: pork, salt, garlic, olive oil and paprika. Store at room temperature. Do not remove the skin to the whole piece of sausage, only what you are eating. Store in a dark, cool, dry place, a cupboard or pantry is ideal. All sausages undergo transformations in their color and flavor if exposed to light for periods of time. Cover the cut with a plastic film or wrap with a cotton cloth. And especially do not hang off the kitchen, keep it in a horizontal position in the pantry or the place of your choosing, as temperature changes deteriorate the taste and texture.